The Vic 17 Apr 2019 12:34 pm said.. Sorry, not true. People of all faiths can play sport and hold whatever views they want (in fact I would suggest there are many in the game who do hold similar views to Folau). It is only when they start expressing those views in a manner that is disrespectful to groups in society as well as being potential harmful that there is going to be issues. Once more to make it clear Folau is not being punished for the views he holds rather the manner in which he chooses to express them. I think I've said on here that social media is never the best way to describe religious belief, its far to limited to engage meaningfully. I would agree that if that is the view that Folau holds to, then it has been expressed it poorly. As I have said, I think learning to co-exist in peace is of vital importance. However, my personal view is that inclusivity is a bit of a myth. Everyone is different, what the current understanding of inclusivity is seems to me to be about everyone thinking the same and having the same exact values which I don't think is possible. I think many of those who hold to a faith would want to sit with Folau and question whether the way in which he expressed himself is truly the best way. However, much of the response I have witnessed (not so much on this site) has not only called into question his understanding of sexuality but the very fact that he has a belief. As much as I wouldn't disrespect someone of a different gender, race or sexuality it also goes without saying I wouldn't disrespect someone of faith. Perhaps if there wasn't such a desire to mock people of faith, we wouldn't see as much extremism as we do. People of faith have done a great deal of thinking and are rarely if ever stupid or naive which they are frequently made out to be. JamesK 17 Apr 2019 13:17 pm said.. The Vic wrote: I think the reality is, that if you are a person of faith that holds to orthodox beliefs then you may well just have to accept that you are not welcome in rugby anymore, rather than seek to co-exist in peace. There would be no problem with somebody holding any belief. It is only choosing to be vocal about the beliefs that creates the problems. Sky blue 17 Apr 2019 14:16 pm said.. The Vic, I don't think many people’s idea of inclusivity is us all thinking the same and holding the same values. In fact it is pretty much the opposite. It’s about people being able to hold different views or lead different lifestyles without being excluded or feeling alienated. Saying someone will go to hell for being who they are will not help them feel included and is therefore not inclusive. I equally agree that making fun of someone’s faith isn’t much or any better than what Folau did. I don’t know what you’ve read elsewhere but I haven’t seen too much evidence of that behaviour on this thread. The Vic 17 Apr 2019 16:10 pm said..
Sky blue wrote: The Vic, I don't think many people’s idea of inclusivity is us all thinking the same and holding the same values. In fact it is pretty much the opposite. I did say, its been fairly civil on here which is a pleasant surprise in comparison to what happens when Gloucester lose. With regards to offensive treatment of people of faith, So I looked at Falou's instagram and a post before his previous sharing upon sexuality. A simple post of 'God is the reason I've made it this far' from him is greeted with individuals calling him 'Bat s**t crazy'. While its on the low end of offensive, in truth I know quite a few religious people that have been beaten up for their beliefs in this country. As I said learning to co-exist in peace is one of the major challenges we face today. With regards to inclusivity and the difference between that and co-existing a good example is when Underhill came under fierce criticism for not wearing rainbow colour laces. He did not have any issue with the LGBT cause and was vocally supportive of it, but was criticised for not wearing the laces and his apparent lack of support for inclusivity. I find that inclusivity is a word used by the liberal left to help them define the people they don't like. I prefer co-existing in peace, I'm perfectly happy for someone to be different to myself, lets dialogue in peace. 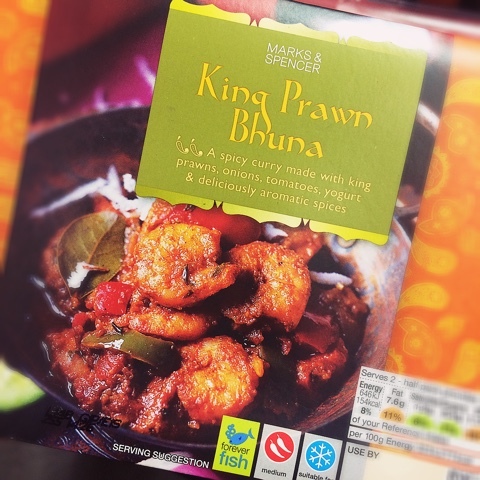 King Prawn Bhuna 17 Apr 2019 16:46 pm said..
Don't think anyone here is defending the crazies in the world that posted some vile things on his and others accounts..and if this is his response it seems to be against some of Christian 'propaganda' or 'teachings' , depending on your viewpoint, I was taught in my youth. Not1eyed 17 Apr 2019 17:36 pm said..
That is part of the problem KPB. There are several denominations of Christianity as I understand all teaching different interpretation of the bible. I’m no believer and if I’m honest I don’t understand anyone believing in something to the extent that millions do. However, I fo respect their right to believe. ElmbridgeGlaws 17 Apr 2019 17:48 pm said..
Then I went on this journey they call LIFE. On the way I have found that life can be cruel and unforgiving but also that good friends can be found anywhere. One thing I can tell you is that sexual orientation, race and age is of no importance. Throw prejudice out of the window. stevieb 17 Apr 2019 18:19 pm said..
How about Gareth Thomas and Nigel Owens (not a player but high profile)? The Vic 17 Apr 2019 18:40 pm said..
tigerchef 17 Apr 2019 18:42 pm said..
Gareth Thomas came out after he had retired. Nigel Owens isn't a professional rugby player.